Are you lost in the social wild—trying to understand how to cut through the noise of all the tweets and status updates to reach your target accounts? How do you even find your target audience on social media? Join us for this free seminar to learn how to identify your target audience and then find and engage them on social media. We'll teach you best practices as well as ways to measure your success. 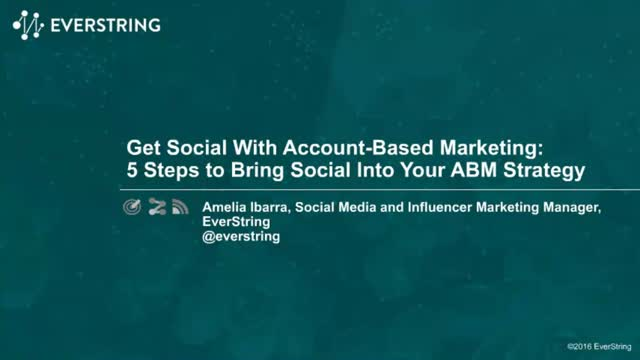 Get ready to take your account-based marketing to the next (social) level.